It must be tough to be an actor. It’s so easy to get typecast; if you can throw a good kick or punch, you’re stuck being a martial artist and can only do action movies. However, sometimes it is possible to cross over. Take actor Jason David Frank, for instance. 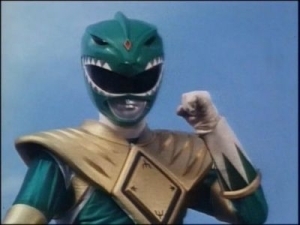 Best known as one of the Mighty Morphin Power Rangers, he hung up his spandex outfit for good in 2004. However, he never stopped practicing martial arts, and after an aborted attempt in 2007, Frank is working hard to make his official mixed martial arts debut for fight promoters Suckerpunch Entertainment. However, Frank is more than just a movie fighter. He has been practicing karate since age 4, and has been a trainer since age 12. He’s currently working with UFC lightweight Melvin Guillard and has picked up a blue belt in Brazillian Ju-Jitsu to go along with his sixth-degree black belt in karate. Hopefully that’ll help keep him from getting choked out.